Orangutans are among the most intelligent primates. In the local language the name “orangutan” means “person of the forest”. Unfortunately, these wonderful apes, especially the baby orangutans, have a very uncertain future. The biggest enemies of these primates are humans. We have made a list with 7 most important things to know about the baby orangutans. Orangutans have been declared an endangered species. Today they can be found only in Indonesia and Malaysia on the Borneo and the Sumatran Islands. Human expansion is the biggest threat on the orangutans habitats. In order to provide land for plantations, the palm oil industry in Borneo is the main cause for the massive deforestation of the tropical rain forests. Orangutans are dependent on these forests because they eat plenty of fruits. 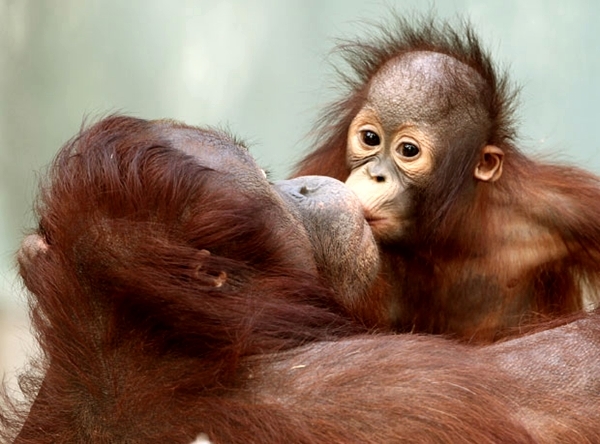 The relationship between a mother orangutan and her child is extremely tied. In their first two years of life, the baby orangutans are completely dependent on their mother. During this period the mother carries the baby everywhere it goes. They also sleep in the same night nest. Baby orangutans stay with their mother until they are 7 or 8 years. For a mammal, this is the longest period a baby spends with its mother (not considering humans). Female orangutans have only one baby at a difference of every eight years. In the raise of the babies, females do almost everything. While mothers and infants are inseparable, the male orangutans live alone. Baby orangutans are capable of human emotions: joy, fear, anger, surprise. They are also capable to express their emotions. They cry when they are hungry, or whimper when they are hurt. Also they cry when they see their mother in pain. There is a huge local and international interest for baby orangutans as pets. Due to their intelligence they are attractive for TV shows and circus. The price for a baby is very high, up to $50,000. The most dramatic thing that happens in the process of capture and transport of the infant is the killing of the mother. Because she protects and guards the baby thoroughly, almost always the mother is killed. A non-profit organization based in New York, Orangutan Outreach, created a very emotional campaign in the memory of all mothers orangutans killed by hunters. Orangutans are protected by law dating from 1931. Since then, it is prohibited to buy or sell, kill or capture these primates. International law also prohibits unlicensed trade. Unfortunately, baby orangutans are still intensively hunted and engaged in smuggling. In Indonesia and Malaysia there are several very active non-profit organizations. 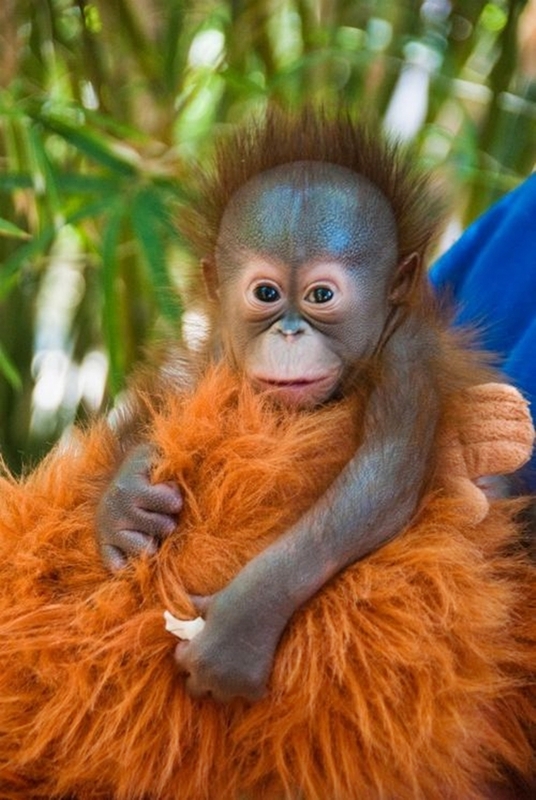 However, in 2012 it was estimated a number of almost 2000 orphaned babies and displaced orangutans. Many organizations offer people the possibility to adopt a baby orangutan. Usually the adoption means that for a specific amount of money you can track the progress of the baby orangutan that you choose and to see how it is being rehabilitated. 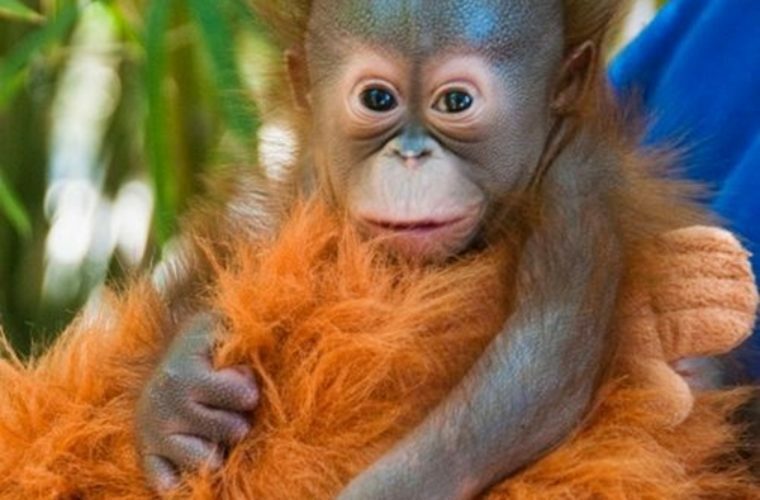 Baby orangutans are the future for this amazing species of primates. With little support, each of us can take part in saving them.